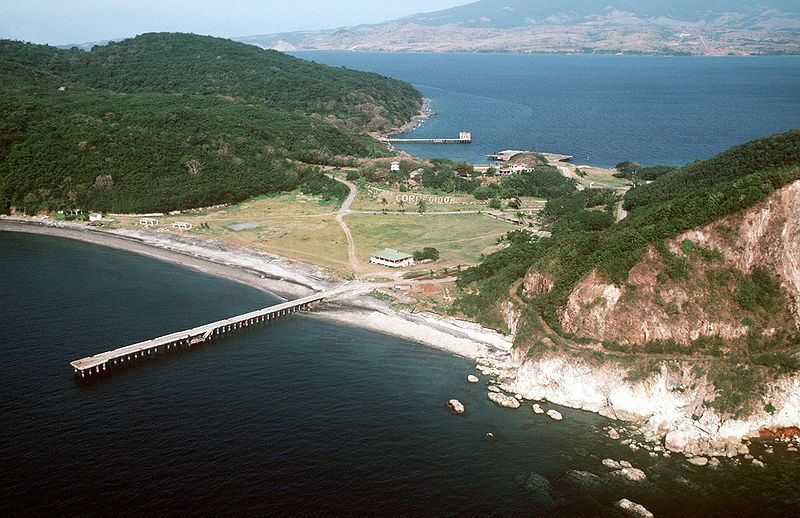 Also known as the “Rock”, Corregidor is a small, rocky and heavily fortified island located 48 kilometers west of Manila. 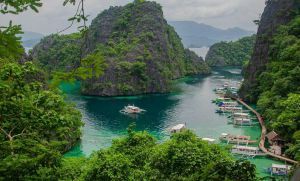 It is the largest island forming the capital’s entrance defenses, serving as a key bastion of the Allies during the Second World War (particularly during the Japanese invasion) and the seat of the Philippines Commonwealth government under President Manuel Quezon. Currently, the island stands as a memorial for the Filipino and American soldiers who bravely fought against the overwhelming number of advancing Japanese soldiers during the war. Corregidor still has some of its artillery standing (some after restoration), so if you are a fan of war movies, you will surely enjoy a day tour at the Rock. And oh, if you especially love ghost hunting and ghost stories, there are a plenty of adventure and tales to be had in the island. This is the battery of the island’s four 12-inch mortar guns, which can make a 360-degree turn and can hit targets from as far as Bataan. The Battery Way, as well as the other batteries on Corregidor took several years to build (5 years in particular) because the concrete needed to cure before the mortar guns can be installed. Beside the battery is the ammunition magazine made of 3-foot-thick walls and 8-foot-thick solid concrete roof, especially designed to make sure that accident explosion won’t cause serious damage. The garden used to be a cemetery for dead Japanese soldiers after the island was recaptured by the Americans in 1945. Later the bodies were exhumed and brought back to their families in Japan. The cemetery garden was then turned into a memorial for everyone who perished in war. Stories have it that one noticeable stone mark with the inscription “The Brave Japanese Soldiers” was hacked off a visiting war veteran and replaced with “Brave Heroes” to honor his friends who died in the hands of the Japanese soldiers. 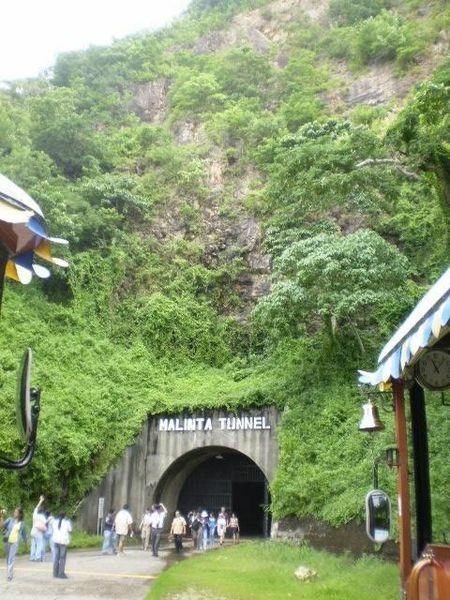 Malinta is an 835-feet long and 24-feet wide tunnel complex built by the Americans on the island. Branching off from its main shaft are 13 lateral tunnels on the north part and 11 lateral tunnels on the south. No wonder its construction lasted for 10 years starting from 1922 to 1932. It was initially used as a bomb-proof personal bunker and storage for American and Filipino soldiers but was later equipped with 1,000 beds for hospital use where the wounded soldiers are taken care of. It has served as the headquarters of U.S. General Douglas MacArthur and the seat of government of the Commonwealth of the Philippines. 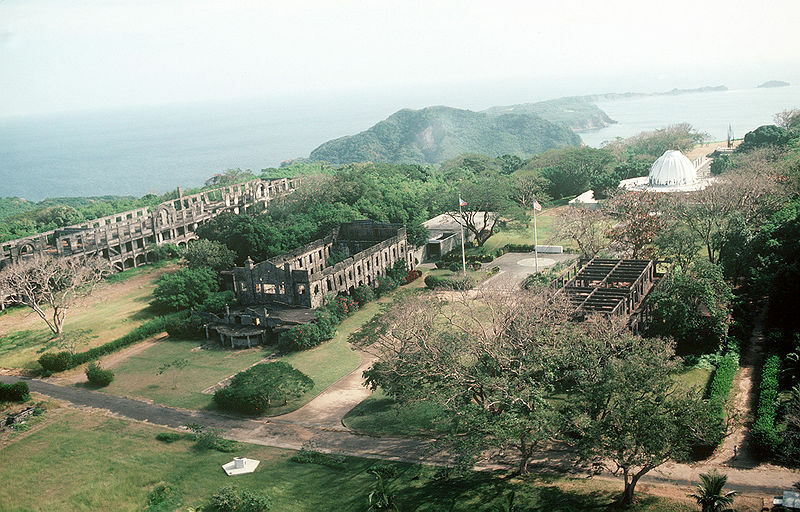 Before the war broke out, Cine Corregidor was a lively place where American personnel and their family could enjoy watching movies. As a matter of fact, the last movie shown here was “Gone with the Wind”. The war though left the movie house in ruin with only a portion of its concrete walls and stairways left. 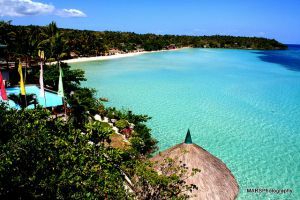 One of the most hassle-free way to visit the island is to book a tour with Sun Cruises, which costs around 2,400 PHP (54 USD) and includes ferry transfers and buffet lunch. A cheaper alternative is to take a ferry boat which departs from Manila daily at 8 a.m. Many people coming from Bataan province usually take the 20-minute boat ride to Corregidor and do a walking tour.